Just one mile from the hustle and bustle of the city centre lies the green space of Glasgow’s only inner-city Local Nature Reserve - The Claypits. The main path in The Claypits (known as ‘The Yellow Brick Road’) will be closed from 4th February until autumn 2019. Find out more here. Just one mile from the hustle and bustle of the city centre lies the green space of Glasgow’s only inner-city Local Nature Reserve – The Claypits. Originally the home of a clay quarry used when the Forth & Clyde Canal was first built in the late 1700s, it was also the site of a foundry, glassworks and boat-building yard. These industries are long gone but the historic canal buildings, the oldest in Scotland, still dot the banks. The Claypits is a beautiful parkland in the heart of the city. Roe deer roam the reserve and many bird species can be found, from peregrine falcons to whitethroat warblers and a host of waterfowl – even the elusive water rail. In surrounding communities, For the 75,000 people who live with a within a 20-minute walk (or just a few minutes’ cycle) of The Claypits, it’s an important green space to explore nature by boot or bike. Over the last few years, Scottish Canals, with Glasgow City Council and Friends of Possilpark Greenspace, have worked together to safeguard The Claypits’ future by having it protected as a Local Nature Reserve. They’ve also secured funding to support the sensitive development of the site in partnership with the local community. 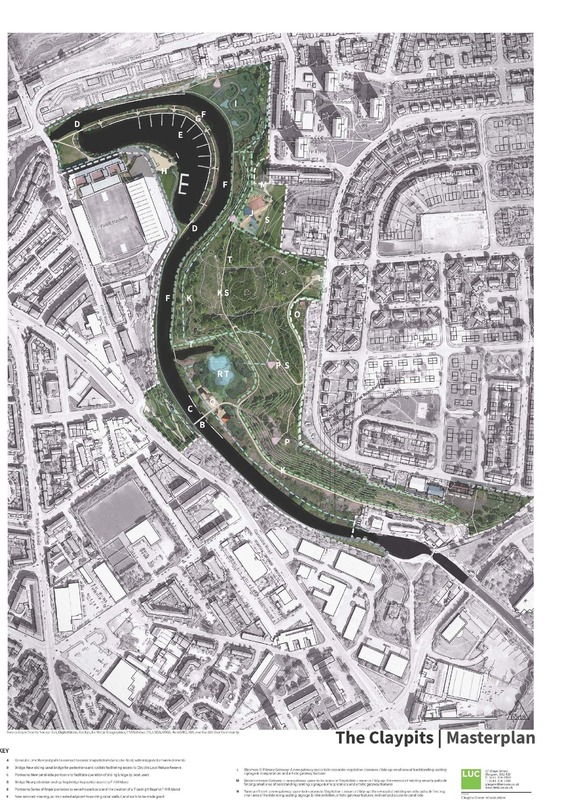 In 2018, the project took home a Living Waterways Award for the community engagement work involved in creating an oasis of greenspace in the heart of North Glasgow. The first stage of the project, the creation of a new cycling and walking path funded by Sustrans Scotland, is now complete. This has made it easier than ever for people of all abilities to access the Local Nature Reserve and the towpath and National Walking and Cycling Networks. Future plans include extending the path network; installing boardwalks; redesigning the entrances; creating picnic areas; and building a new bridge to improve access to The Claypits for the residents of local communities. The Claypits Local Nature Reserve Management Group – an independent charity made up entirely of local people who, in partnership with Friends of Possilpark Greenspace, will work very closely with Scottish Canals and Glasgow City Council to ensure the project continues to celebrate the incredible environments and vitally important green spaces of The Claypits. Find out more about the work to celebrate the unique environment of The Claypits, including any planned path closures or maintenance at the reserve, on the ‘latest updates’ page below. You can also find out more detail about the plans for the reserve – and answers to some questions you might have on the project – in our FAQ section below. Feeling social? Follow The Claypits on Facebook. Keep up-to-date on the progress on The Claypits, including any planned path closures or maintenance at the reserve. Find out more about The Claypits' first award win at the Living Waterways Awards!